Mint founder, Aaron Patzer is worth $80+ million and he drives a 29K Subaru Outback. See why he drives the frugal wagon. You would think someone worth $80+ million would drive a cool car like a Lamborghini or a Ferrari right? According to a report “The-best-and-worst-cars-of-tech-moguls” by AutoSportsart.com, found out Aaron Patzer who founded Mint, a financial management software company, sold his company to Intuit for $170 million in 2009 and drives a $29,000 Subaru Outback. So why does Patzer drive a four-wheel-drive wagon around when he could buy anything he wants? It’s probably because he understands finances too well. The millionaire didn’t get to be one by slacking on his finances. That's why he originally developed Mint.com, a free personal finance and money management platform that offers a bird's eye view of your financial situation and offers advice on how to improve it. Who taught Patzer about finances? Aaron Patzer is also an avid outdoorsman and likes to go hiking and camping and get away from civilization. It’s another reason why he chooses to drive the Subaru Outback. Subaru vehicles are known for their “go-anywhere” attitude and the wagon goes where other SUVs won’t go. The SUV-alternative wagon can get off-pavement and reach places most other SUVs in this category fear to go. Patzer says he’s friends with Tesla and SpaceX CEO Elon Musk and according to Inc, the two go camping together every year. We can just imagine Elon Musk riding in Patzer’s Subaru Outback out in the California wilderness somewhere. 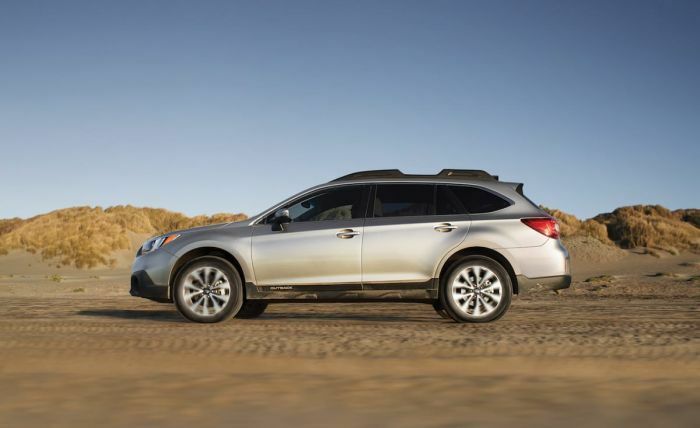 The 29K Subaru Outback offered Patzer a vehicle for weekend excursions for mountain biking, snowboarding, hiking and camping trips. KBB says it’s one of the “12 Best Family Cars” for 2018. The frugal wagon can get you off-pavement and reach places most other SUVs in this category fear to go.